Aeroflot is an airline on the rise. Only a decade or so ago, they had a poor reputation both in terms of their hard product and service. Complaints were consistent whether it was for late departures or surly staff. How things have changed. After amalgamating the various regional carriers, the government-owned airline updated their fleet and focused on improving service. The results speak for themselves with the average age of Aeroflot’s fleet currently sitting at just 4.2 years. Their service has improved a lot as well, resulting in the airline winning Best Airline in Eastern Europe in 2013. Their main hub, Moscow Sheremetyevo, is the busiest in Russia, handling over 30,000,000 passengers per year. Terminal F is one of the older terminals but it still functions as one of the main international arrival and departure points. 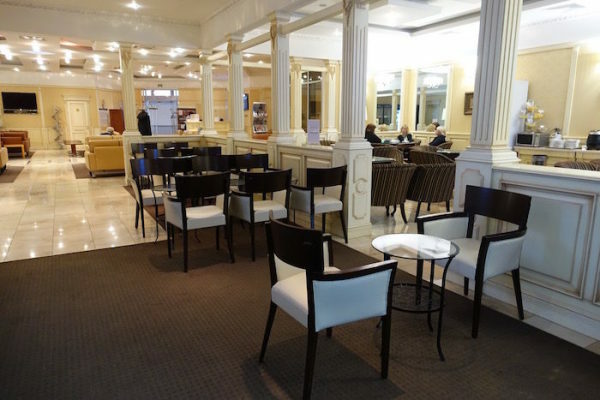 This is where we find our lounge - the Classica lounge - for review this time round. There are several lounges at Sheremetyevo, all with delightful sounding names such as Jazz, Blues, Baikal and Galaktica (yes, it has a space theme…!). 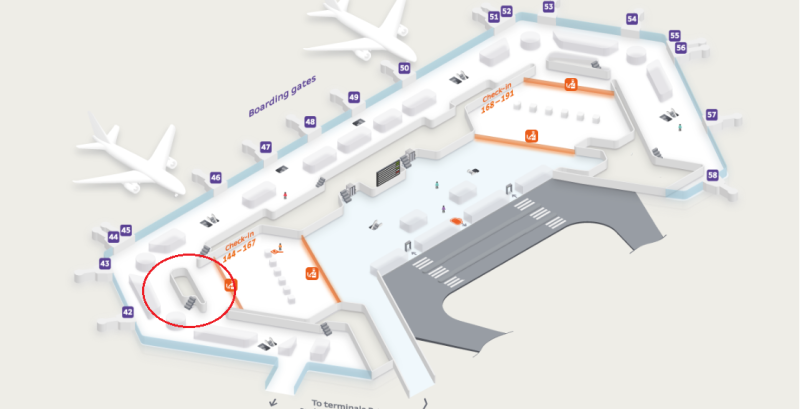 The Classica Lounge is located in Terminal F, opposite gate 42 on the second floor. If you’re in transit from Terminals D or E, it is the first lounge you come across as you enter Terminal F . The entrance is up a flight of stairs from the main departure terminal floor. A few of the lounges at SVO are Priority Pass lounges and the same is true of Classica. Additionally, Aeroflot Bonus Gold and Platinum cardholders can gain access along with a number of other international credit cards. You can also pay at the door for around USD$60 or book online beforehand for USD$40. It might be worth to note that Aeroflot only allow you to use the lounge from 4 hours prior to departure without paying an additional fee. So keep this in mind if your layover is over this amount of time. The Aeroflot Classica lounge is one of the larger ones at SVO but not massive either. It’s divided into a number of “zones” and as the name suggests, is decorated in what you might feel is classic Soviet-era cafe or restaurant. It’s quite elegant overall, but unfortunately there are no windows just like most of the lounges in SVO. 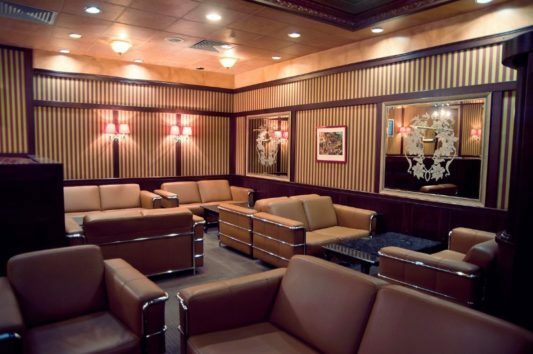 The different “zones” include a large common room, a cafe style seating area and a comfy area with sofas that looks like a cigar lounge. Seating and tables are elegant and cleverly positioned to give you a feeling of the different zones. 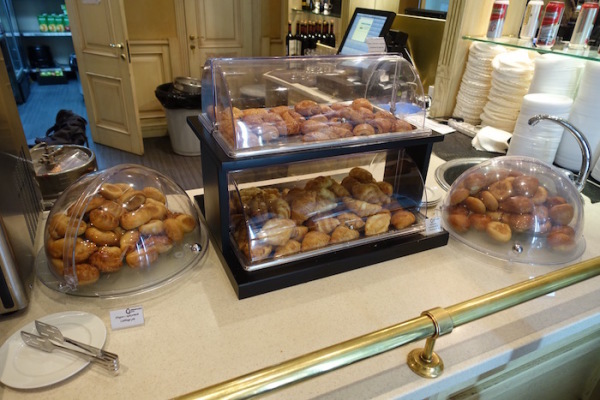 Food is located in the far corner and is presented in a buffet style. 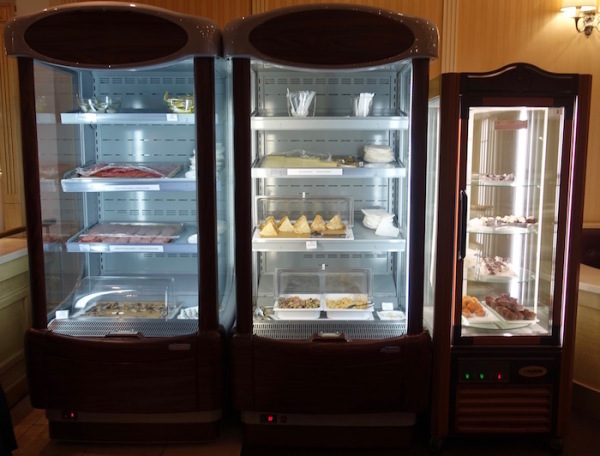 Here you’ll find a selection of soups, as well as salads, bread and pastries and cold cuts and cheese in a fridge. I like the fact that they also serve nuts and other snack items along with the cakes and hot food. Overall, while not Michelin star material, it’s a tasty and variable selection that doesn’t overwhelm you. 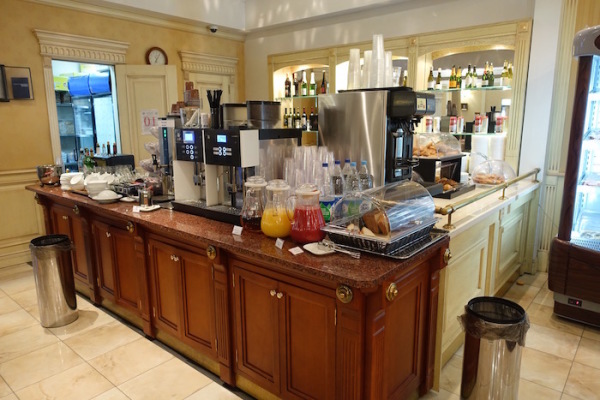 Alongside the food is a decent selection of drinks including different juices, tea and coffee and alcoholic beverages. A selection of beer and wine is available in the fridge as well as soft drinks and water of course. Caviar is also for sale in a fridge for those eager to shell out for such a delicacy! The bathrooms are over near the cigar/lounge section and it is the real let-down of this lounge. 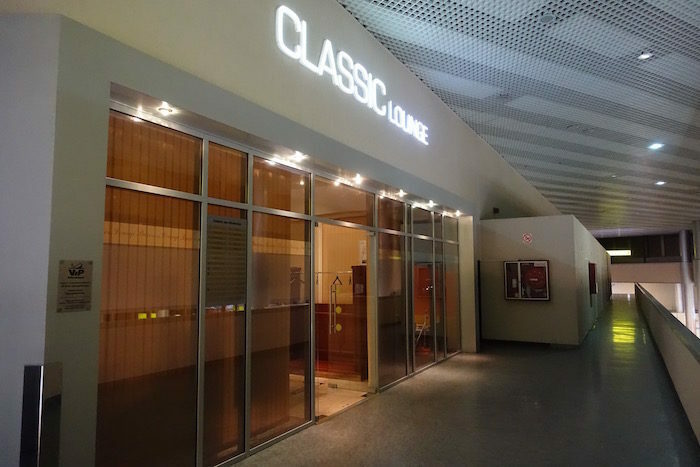 Although it says on the website that the Classica lounge has showers, none have been seen by reviewers and other customers. 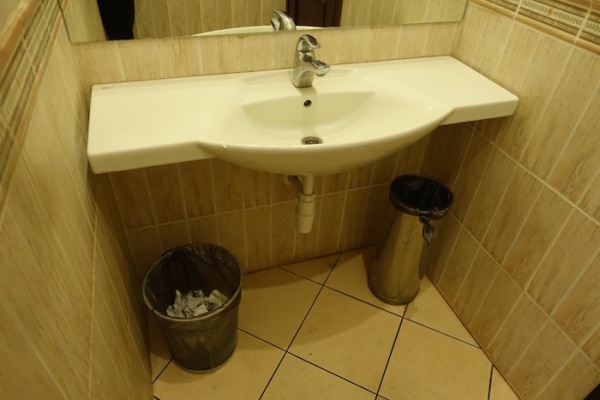 The bathrooms themselves are fairly basic and pretty much consist of lavatories and wash basins. No special amenity kits or scented towels here – just a lavatory which at least is quiet and clean. 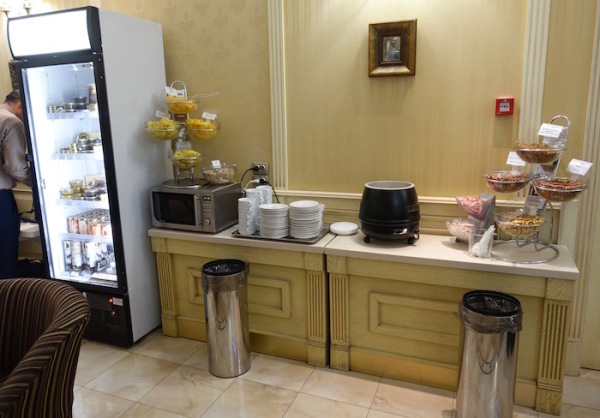 The Aeroflot Classica Lounge is a decent place to relax and have something to eat before your flight. A selection of food and drinks along with nice seating areas makes this one of the better lounges at SVO. Wi-Fi is available too and it’s fast although some have reported a somewhat spotty connection. They may need to work on some details to become a truly internationally competitive lounge. English language (and recent) newspapers and other reading materials are hard to come by and the overall standard is lacking a bit. Having said that, it’s still a lot better than a number of other lounges around at them moment, especially on the business level. Although it is large, it does get busy at times so it might be worth checking out the other nearby lounges if this is the case. 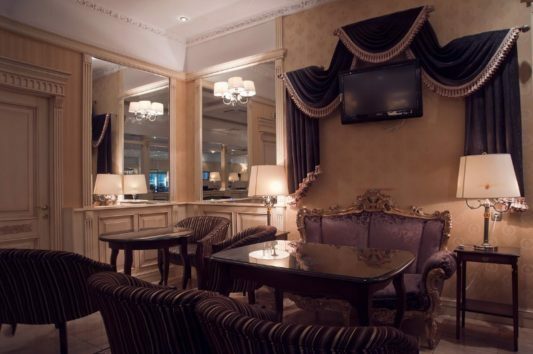 Have you visited the Classica Lounge and liked or disliked it? Do you recommend it or prefer another lounge at SVO? Also, if you have found the showers in Classica, let us know!